As I had posted earlier, one cannot be wise without sensitivity to the human condition. This means wisdom has innate, emotional, intangible and synergistic attributes, making it more dependent on the person than intelligence is and thus more magical. 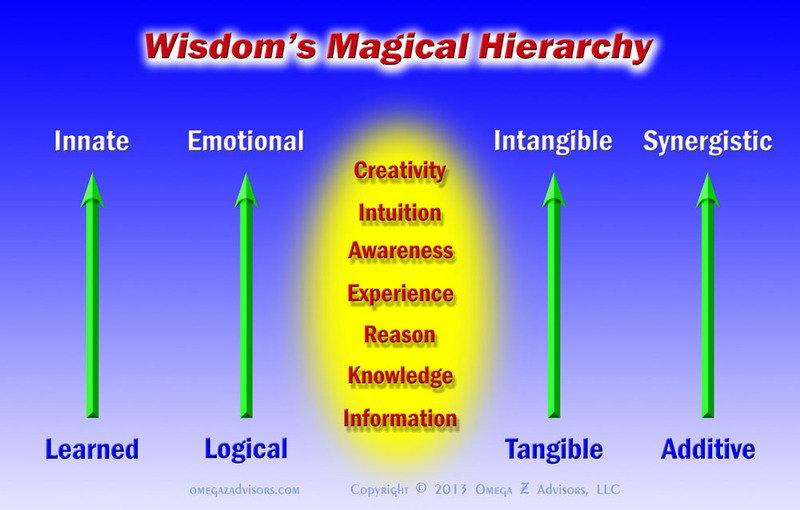 We can see this if we dive into the various aspects of wisdom as seen in Figure 1 and order them hierarchically along these attributes. Information occupies the bottom. Even computers collect it. Above is knowledge, combining the information into themes, theories, categories and disciplines. Reason comes next, linking bodies of knowledge in ways that make them applicable. At some point, we apply these three to create experiences. However, what two people learn from the same experience will differ, thus giving experience innateness. Part of what makes the same experience different is situational awareness. People are born with differing levels of awareness, allowing some to extract more from each drop of experience than others do. Above this is intuition. It provides direction so we can sift through all the other aspects more efficiently and effectively. Finally, creativity applies all of these (information, knowledge, reason, experience, awareness and intuition) to solve everyday problems. Since every event is unique, we will need creativity to apply what we’ve learned to our situation. As we move up the hierarchy, we progress from those aspects of wisdom that are more learned to more innate, more logical to emotional, more tangible to intangible, and more additive to synergistic. For instance, two married individuals produce much more than just the sum of their personalities. This also applies in business to create a more innovative and creative environment. It’s the innate, emotional, intangible and synergistic attributes of these seven aspects of wisdom that give it a magical, wizardry sense. It’s why we can quantify intelligence but not wisdom. Fascinating post, Mike. 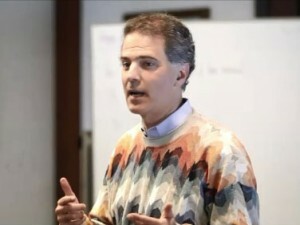 You have me thinking about where innovation (creating value for customers in a creative or new way) fits. I think it’s probably dependent upon the expression of all of the elements in the hierarchy. Is that your opinion, as well?